The life of William Cullen Bryant covers what to me is the most interesting period in the history of American letters. We cannot be said to have had a literature when he was born (certainly nothing worthy of the name), and if we have one now, we owe whatever is of value therein to three or four writers, among whom he will always stand first. We were waiting for it, as the English were waiting for a new-growth in their literature, and it came at last, though later to us than to them. The same seed blossomed in both countries, only it was native there, being first sown in "Percy's Reliques," while here it was transplanted at second-hand from the pages of a new race of English poets, particularly Wordsworth. They returned to nature in literature; we, who had no literature, discovered it in nature. That both the English and ourselves have gone astray after other gods is certain, but all is not lost yet; Greek atheism will no more satisfy them forever, than the "barbaric yawp" of the rough will satisfy us. William Cullen Bryant was born at Cummington, Mass., on November 3, 1794. He was happy in his parentage, his father, who was a physician, being a studious and thoughtful man, while his mother was a woman of strong understanding. The infant poet is said to have been remarkable for an immense head, which was not pleasing in the sight of his father, who ordered him to be ducked every morning in a spring near the house. He resisted the treatment, as what child of tender years would not? but to no purpose--he was predestined to be ducked. Whether the cold water arrested the cerebral development, we are not told, but it strengthened his frail physique, and made him a hardy little lad. He began early to write verses, a pursuit in which he was encouraged by his father, who directed him to what were then considered the best models, taught him the value of correctness of expression and condensation of statement, and pointed out the difference between true and false eloquence in verse. The father of Pope is said to have performed the same good offices for his rickety little son: "These be good rhymes, Alexander;" or the reverse, when his couplets were unfinished. Allibone states that Master Bryant's first effusions were translations from some of the Latin poets, but, as these were written and printed in his tenth year, the account is scarcely credible. He began at ten years of age to write verses (says another authority), which were printed in the Northampton newspaper of that day--the Hampshire Gazette. When he was fourteen he had verse enough on hand to make a little pamphlet volume, which was published (we are not told where) in 1808. A second edition, corrected and enlarged, was brought out at Boston in the ensuing year. It was entitled "The Embargo; or, Sketches of the Times--a Satire," and is described as being a reflection, in heroic measure, of the anti-Jeffersonian Federalism of New England. "If the young bard," said the Aristarchus of the Monthly Anthology for June, 1808; "if the young bard has received no assistance in the composition of this poem, he certainly bids fair, should he continue to cultivate his talents, to gain a respectable station on the Parnassian mount, and to reflect credit on the literature of his country." Besides the "Embargo," the volume contained an "Ode to Connecticut," and a copy of verses entitled "Drought," written in his thirteenth year. In 1810 the young poet entered Williams College, a sophomore, and remained two years. He is said to have distinguished himself greatly, and we can readily believe it. We can believe anything of the youth who conceived "Thanatopsis." When this noble poem was written is variously stated; one account says in 1812, and another 1813. It is of no great consequence, however, whether Bryant was eighteen or nineteen at the time. No other poet ever wrote so profound a poem at so early an age. In whatever light we consider it, "Thanatopsis" is without a parallel in the history of literature. The train of thought it awakens is the most universal with which the soul of man can be touched, belonging to no age and no clime, but to all climes and ages, and embracing all that pertains to him on earth. It is his life-hymn and his death-anthem. It is mortality. Poets from immemorial time have brooded over life and death, but none with the seriousness and grandeur of this young American. There are moments in the life of man when he stands face to face with nature, and sees her as she is, and himself as he is, and the relation of everything in the universe. Such a moment is fixed for all time in "Thanatopsis." It would be interesting to know what authors the youthful student read with most avidity and attention. The influence of Pope is visible in "The Embargo," as the influence of Wordsworth is visible in "Thanatopsis." But between the writing of these poems--a space of four or five years--other poets than those named must have stimulated his thoughts and colored his style. Cowper, we imagine, was one, and Akenside, perhaps, another. He may have read Scott, and Southey, and Coleridge, although there are no traces of either in anything that he has written. That Wordsworth was more to him at this period than any other English poet, we have the testimony of the elder Dana. "I shall never forget," he writes, "with what feeling my friend Bryant, some years ago, described to me the effect upon him of his meeting for the first time with Wordsworth's ballads. He lived, when quite young, where but few works of poetry were to be had; at a period, too, when Pope was still the great idol of the Temple of Art. He said that, upon opening Wordsworth, a thousand springs seemed to gush up at once in his heart, and the face of nature, of a sudden, to change into a strange freshness and life." Wordsworth may have been the master of Bryant, but it was only as Ramsay was the master of Burns, and Chaucer of Keats, and Keats himself of Tennyson. That is to say, the disciple found in the master a kindred spirit. The eyes with which Bryant looked on nature were his own. Wordsworth never imparted to him "the vision and the faculty divine." It should be observed, also, that he was favorably situated in his youth; not like so many poets, in the heart of a great city, but in the quiet of the country, amid green fields and woods, in sight of rivers and mountains, and beneath a sky which was nowhere obstructed by man. The scenery around Cummington is said to be beautiful, and, immediately around the Bryant homestead, of a rich pastoral character. It haunted him like a passion from the beginning, and appeared again and again in his poetry, always with a fresh and added charm. 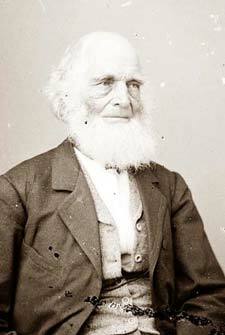 After leaving Williams College, Mr. Bryant studied law, first with Judge Howe, of Washington, and afterward with Mr. William Baylies, of Bridgewater. Admitted to the bar at Plymouth in 1815, he practised one year at Plainfield, and then removed to Great Barrington, where, in 1821, he married Miss Frances Fairchild. Of this lady, who survived until within a few years, there are several graceful and touching memorials in the poetry of her husband. She was the ideal celebrated in the poem beginning, "Oh, fairest of the rural maids;" and it is to her that "The Future Life" and "The Life that Is" are addressed. Whether Mr. Bryant was a successful lawyer, we are not told; but, as he lived at Great Barrington nine years in the practice of law, it is to be supposed that he was. However this may be, he still cultivated his poetry, which was now bringing him into notice. "Thanatopsis" was published in 1816 in the North American Review, though not precisely as we have it now; as was also the "Inscription for the Entrance to a Wood"--a study from nature, at Cummington, and the well-known lines "To a Water-fowl," which were written while he was studying his profession at Bridgewater. And scrawl strange words with the barbarous pen." So gentle and so beautiful, should perish with the flowers." There are other allusions to this "fair, meek blossom" in Mr. Bryant's poems. The sonnet, "Consumption," was addressed to her; and she mingled with his solemn musings in "The Past." The United States Review ceased, as we have seen, in 1827. Its editor seems to have foreseen its fate in advance, and provided for it; for, before it happened, he had become connected with the Evening Post. This was in 1826, from which time dates Mr. Bryant's connection with American journalism--a connection which he never relinquished, and which, while it may have lessened his poetic productiveness, undoubtedly added largely to his influence with his countrymen. The Evening Post had just completed the first quarter of a century of its existence, and stood foremost among the journals of New York. Perhaps it was the foremost, all things considered. But, however this may be, it was a journal for which a gentleman could write. It was respectable and dignified, and it was able and sarcastic. The age of personalities, through which the American press is now passing, had not commenced. Editors were neither horsewhipped in the streets, nor deserved to be, and that impertinent eavesdropper and babbler, the interviewer, was unknown. Happy age for editors--and readers! The lives of editors, like the lives of most men of letters, are not very interesting to the world, whatever they may be to themselves and their friends. They are passed in a routine from which there is no escape, and, if they are now and then enlivened by warfare, it is not usually of the kind to attract the sympathy of indifferent spectators. For the most part, the life editorial is a waste of the brain, and a weariness of the flesh. That it did not prove so in Mr. Bryant's case is owing, no doubt, to his love of literature, an inherent and unconquerable love, which never forsook him, even in the busiest years of journalism. While still a young man, and we may suppose not an affluent one, for his first position on the Evening Post was that of assistant editor, he wrote largely for The Talisman, the entire contents of which were furnished by himself and his friends Sands and Verplanck. It was the best annual ever brought out in America, equal, it is said, to the best of the English annuals, which is not saying much of those of a later date, but is high praise as regards the earlier volumes, to which even Scott did not disdain to contribute. Besides editing and writing for The Talisman, which was published for three years (1827-29-30), Mr. Bryant furnished several papers for "Tales of the Glauber Spa," a collection of entertaining stories, the work of Sands, Verplanck, Paulding, Leggett, Miss Sedgwick, and himself. This was published in 1832, as was also the first collected edition of his poems. In 1834 he took a vacation from his editorial labors, and sailed with his family for Europe, leaving the Evening Post in charge of Leggett. He resided in Italy and Germany, which were not so overrun with travelling Americans as at present, and were all the more pleasant to a quiet family on that account. It was his intention to remain abroad three years, but the sudden illness of Leggett, which threatened to result disastrously to the Evening Post, compelled him to return in 1836. In 1840 Mr. Bryant published a new collection of his poetical writings--"The Fountain, and other Poems," and, during the next year, visited the Southern States, and lived for a time in East Florida. "The White-footed Deer, and other Poems," appeared in 1844. A year later, he visited England and Scotland for the first time. That the mother-land impressed him, we may be sure; yet it is worthy of remark that nothing which he saw there--no place which he visited, and no association it awakened--is recorded in his verse. We have Italian poems from him, or poems in which Italian localities are indicated, and we have, if not German poems, several spirited translations from German song. But we recall nothing, in his verse, of which England alone was the inspiration. Yet he was, and is, admired in the land of his fathers. A proof of this fact is contained in the second volume of Beattie's "Life of Campbell." "I went with him one evening," says the writer (May 29, 1841), "to the opening of the Exhibition, in Suffolk Place. It had been arranged that he should read something, and he chose the 'Thanatopsis' of Bryant. A deep silence followed; the audience crowded round him; but when he came to the closing paragraph, his admiration almost choked his voice: 'Nothing finer had ever been written!'" The first illustrated edition of Mr. Bryant's poetical works was published in 1846, at Philadelphia. It was a creditable piece of art work, considering the then condition of art in America--the designs being drawn by Leutz, an accomplished academician of the Duesseldorf school, who strove to make up in vigor and picturesqueness what he lacked in sentiment and feeling. A second illustrated edition was issued a few years later in New York. The illustrations were drawn on wood, many by Birket Foster, and the engraving and printing were done in England. This method of producing a fine edition of a favorite American writer would hardly suit a protectionist, but, then, Mr. Bryant was not a protectionist--as who is in literature? The last twenty-five years of Mr. Bryant's life differed but little from those which preceded them. That is to say, they were spent in journalism, diversified, now and then, by the publication of a new volume of poems, and by several journeys on the Continent. The result of these journeys was given to the public in the shape of letters in the Evening Post, which letters have been collected in two or three volumes. Mr. Bryant's prose is admirable--a model of good English, simple, manly, felicitous. That its excellence has not been universally recognized and--what generally follows recognition in this country--imitated, is owing to several circumstances; as that it originally appeared in the crowded columns of a daily journal; that the American's appetite for works of travel demands more stimulating food than Mr. Bryant chose to give it, and that his poetry has overshadowed everything else that he did. Few believe that a poet can write well in prose, and those who do, prefer his poetry to his prose. The preference is a just one, but it proves nothing, for literary history shows that a good poet is always a good prose-writer. Mr. Bryant's last great labor--it is almost superfluous to state--was a new translation of Homer. The task was worthy of him; for, though it has been performed many times, it has never been performed so well before. Scores have tried their hands at it, from Chapman down; but all have failed in some important particular--Pope, perhaps, most of all. Lord Derby's version of the "Iliad" was the best before Mr. Bryant's; it is second best now, and will soon be as antiquated as Pope's, or Cowper's, or Chapman's. No English poet ever undertook and performed so great a task as this of Mr. Bryant's so late in life. It is like Homer himself singing in his old age.